Like Eating And Still Want To Lose Weight? Try THIS ASAP! Mindfulness is catching; it seems like people mindfully practice just about anything these days. And why shouldn’t we? We’ve have been using mindfulness techniques for centuries. It’s easy to get caught up in the idea that mindfulness only happens on the meditation cushion, but that’s simply not true. Mindfulness is the practice of directing your attention to the present moment and meditation is only one way to practice it. Believe it or not, this simple — but not easy — practice can help you lose weight and might just be the missing piece to an effective weight loss plan. It’s hard to imagine a nutritionist or doctor telling you to eat whatever you want, but that’s just what one eating program tells you to do — as long as you do it mindfully. As you eat, you can’t have any other distractions, and you must focus on the experience of the food itself. “We instruct people to eat the foods that they love, and not give them up, but to eat them in a mindful way,” says Dr. Carolyn Dunn from North Carolina State University. She’s also one of the authors of a study presented at the European Congress on Obesity in Porto, Portugal. Her program is called Eat Smart, Move More, Weigh Less, and it’s “an evidence-based, 15-week adult weight management program.” Over 16,500 people have completed the program that includes weekly lessons designed to empower, motivate and inform participants on how to make mindful health choices. As Dr. Dunn states, research shows that we get more enjoyment out of the first few bites of a meal. So, with something as high-sugar and high-calorie as chocolate cake, participants in the Eat Smart, Move More, Weigh Less program are told to eat it with mindfulness and enjoy the food, rather than just absentmindedly shoveling it in their mouths. For those worried about food waste, the program also instructs participants to share their food with others or take leftovers home, when eating out, for another day. Using mindfulness while grocery shopping is also encouraged, so participants purchase less and use more of what they do buy. The average weight loss for participants was 4.1 pounds, and participants didn’t feel deprived. As Dr. Dunn explains, mindful eating is eating that is done with a purpose, on purpose. Sometimes the results include weight loss in addition to more intentional eating. While people can lose weight with mindfulness, by itself, it’s not a weight loss plan. Dr. Dunn’s program also includes moving more, and staying active is a part of the process. 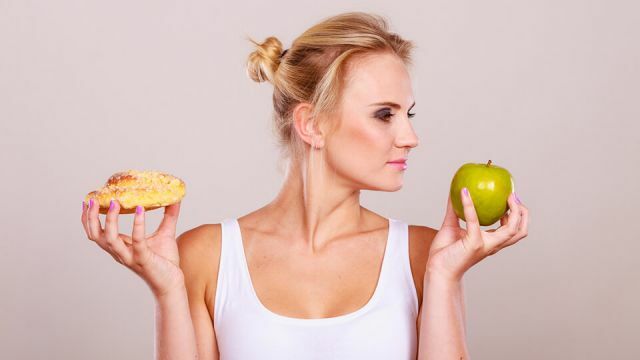 As clinical psychologist Dr. Josh Klapow states, mindful eating is all about “appreciating that the process of eating is complex and highly fulfilling.” It’s less about targeting a certain amount of weight loss, but if it happens, most people wouldn’t mind. If you’re already active and have a regular fitness routine, try the following steps to add mindfulness to your weight loss plan. Dr. Klapow suggests shifting your focus from the number of calories you eat to the way certain foods make you feel. Doing so helps you realize — even more than you already do — how food is energy and an active part of your life. Put your phone down, step away from the computer and turn the television off. These distractions, as benign as they may seem, can cause you to overeat. You can also make better food decisions when you pay attention to the food you eat. It’s so easy to drink a smoothie or eat something standing over the sink instead of sitting down and enjoying a meal. Any time you sit down to eat, you are approaching your meal with more mindfulness. Adding a little gratitude in the form of prayer or simply noticing how each bite brings nourishment to your body will teach you mindfulness while eating. When you take time to say a quick “thank you” to the food, you’re eating and all the beings who helped bring it to your table — human and animal alike — you may find that you stop yourself from mindlessly grabbing a cookie as you walk through the kitchen at work. At Plum Village, Buddhist teacher Thich Nhat Hanh’s mindfulness practice center in France, each mealtime comes with five contemplations. While you certainly don’t have to adhere to these contemplations while eating, what might it be like to sit in a chair, minimize distractions, focus on the experience of the food you’re eating, and express gratitude for its nourishment? You might find a new appreciation for your meals, and you may even drop those last few stubborn pounds. Have you ever tried eating mindfully? Did you lose weight? Let us know in the comments below! Hey Buddy!, I found this information for you: "Eat What You Want And Still Lose Weight? Try This 5-Step Process". Here is the website link: https://www.thealternativedaily.com/how-to-use-mindfulness-for-weight-loss/. Thank you.